What is important is prioritizing traveling, exploring, and making memories with your friends and family. 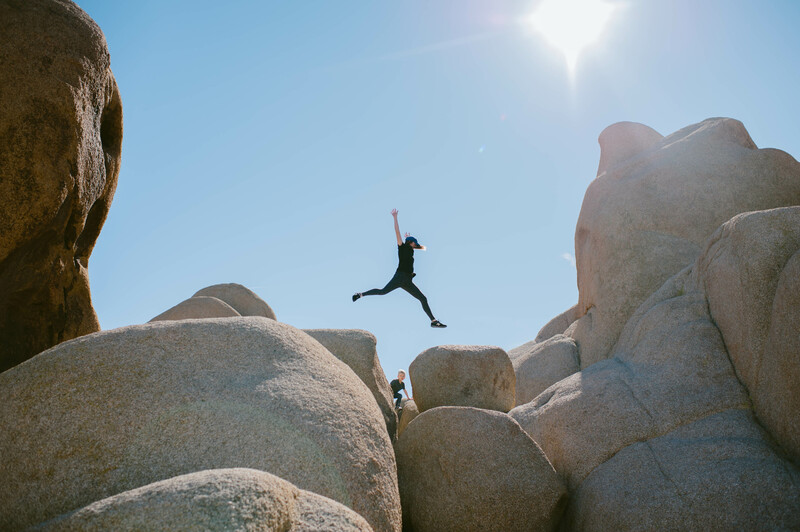 When adventuring, we obtain opportunities to learn and grow, develop relationships, serve others, have fun, help take care of the earth, and stay active and healthy. 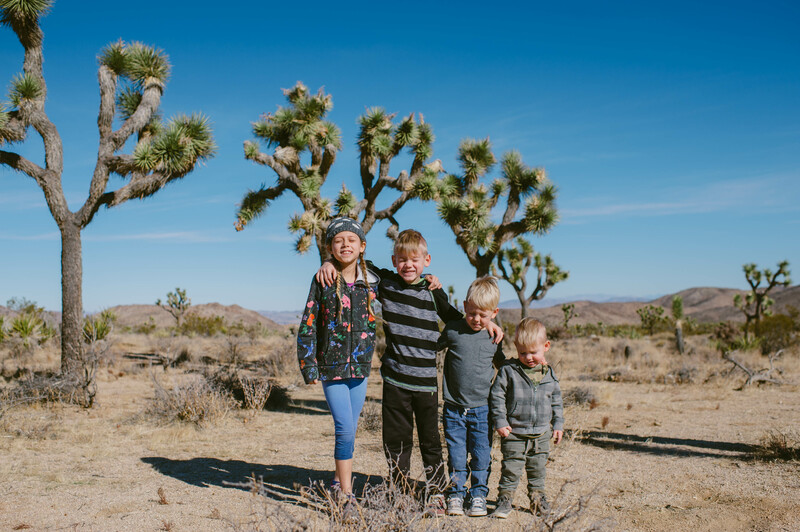 These are just a few of the reasons our family values getting outside with our kids. More is learned about the world by being together and discovering new places than by sitting at a desk. 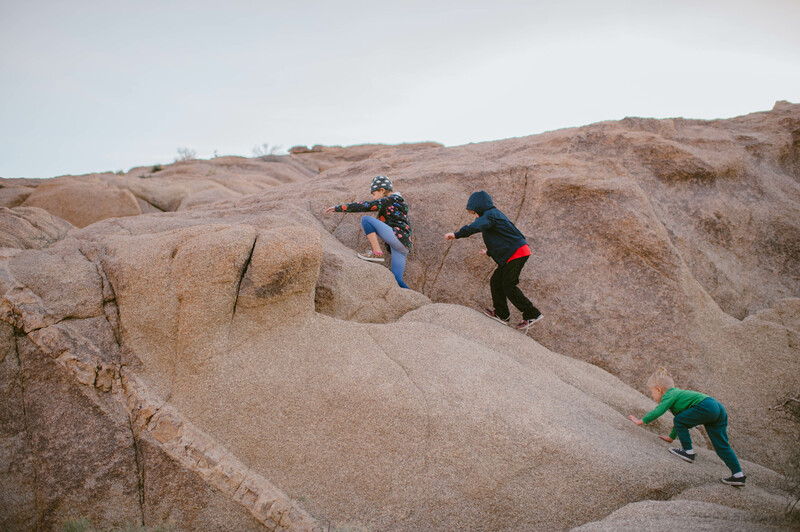 The resilience of my kids, when faced with tough physical situations outdoors, amazes me. We will never forget getting stuck halfway to the top of the Great Sand Dunes in Colorado three years ago. We were barefoot and the sand was burning hot from the afternoon sun. It involved a 30-minute run to get to the bottom, with lots of periodic stopping and standing on sand boards to cool off our hot feet. I won't go into detail about what happened, but to say we were impressed with our three- and five-year-olds is an understatement. My husband and I couldn't transport them because we had a one-year-old and sand boards to carry, but they stuck with it and overcame the struggle. (It was even intolerable for me!) There's no way I could replicate the lessons learned that day about determination and perseverance. 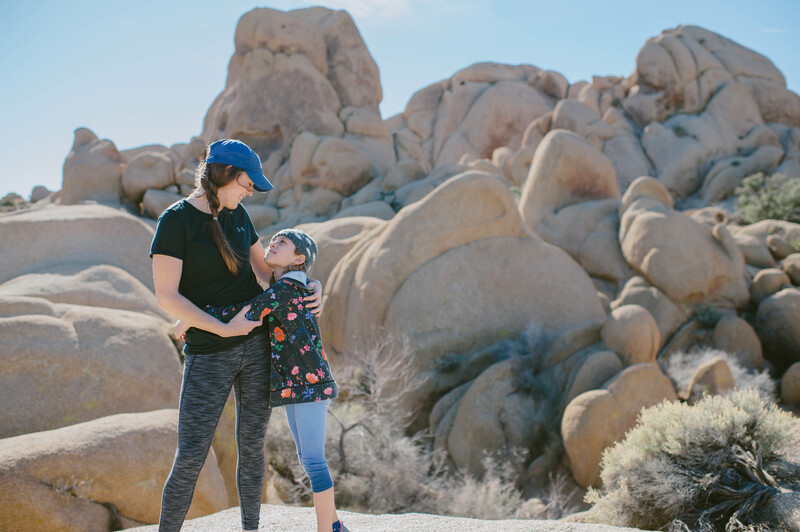 We recently visited Joshua Tree National Park and learned even more lessons together. 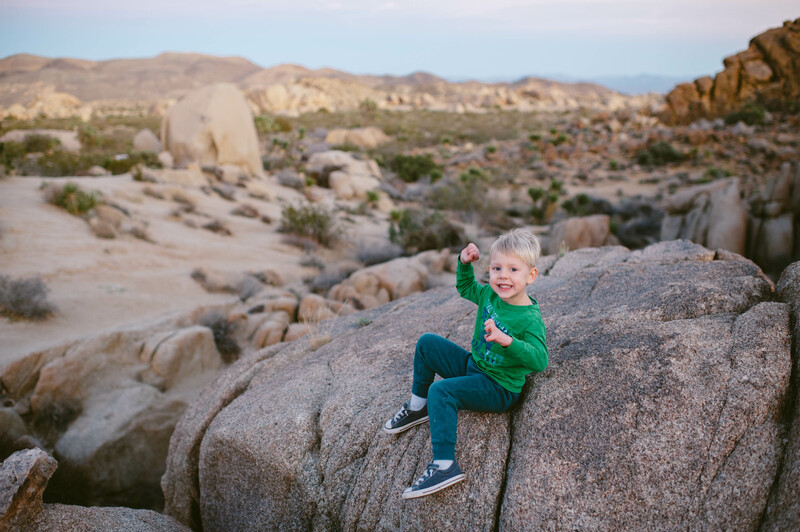 Joshua Tree is an incredible National Park for kids to just climb, climb, climb! It is unique and incredibly photogenic. 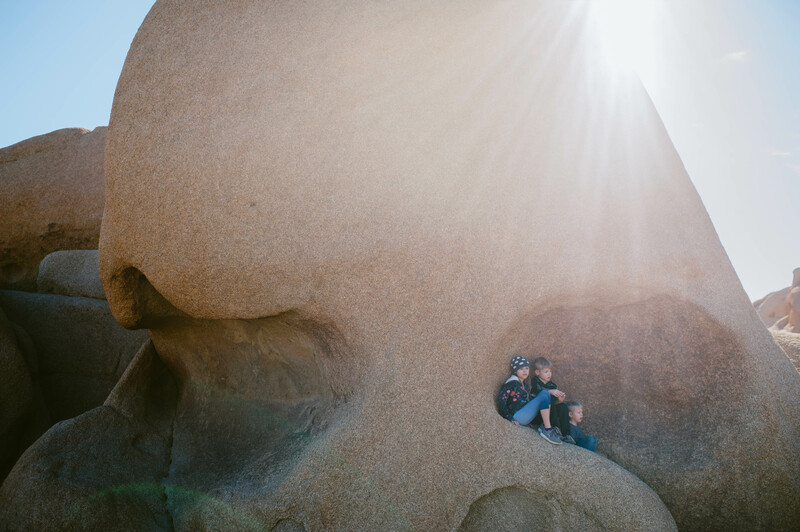 The kids' favorite spot was Skull Rock, where hours were spent running and exploring all over; using lots of energy, physical skill, and creative thinking to get to their destination. They also completed activities and earned their Junior Ranger badges. We climbed near Cap Rock and discovered that in order to get to the top, we had to work together as a team and not bicker. 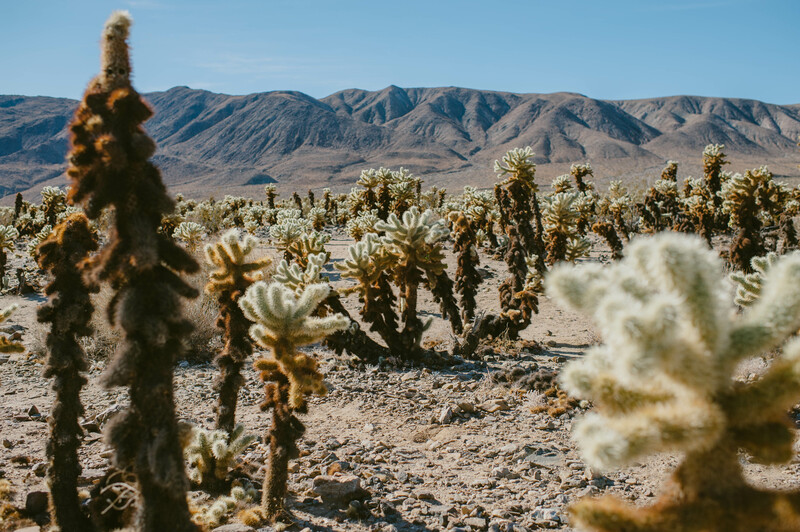 We found out (the hard way) there is a reason you should read signs and follow instructions about staying on trails if you don't want to get "attacked" by the wildly crazy and cool "jumping" cholla cactus. 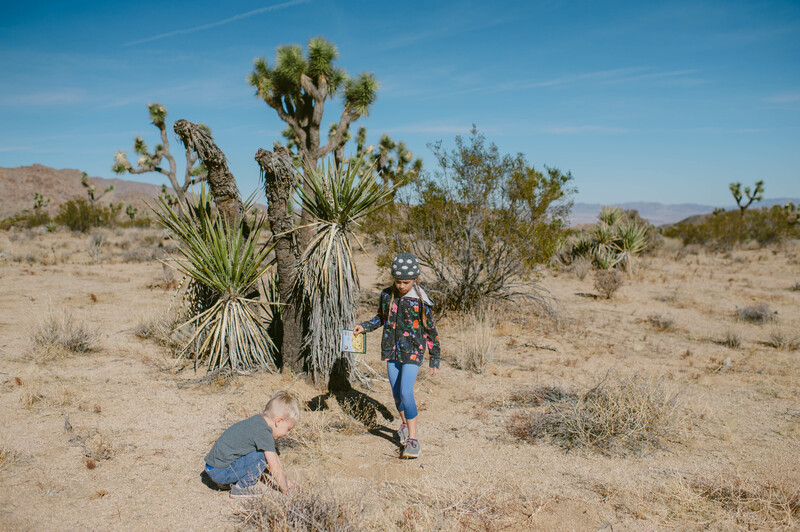 Together, we learned about history, geography, and how climate change is keeping baby Joshua trees from surviving and threatening their population. We learned lessons about contentment and being okay when things don't go as planned, we don't witness everything we wanted to see, or don't accomplish everything we wanted. 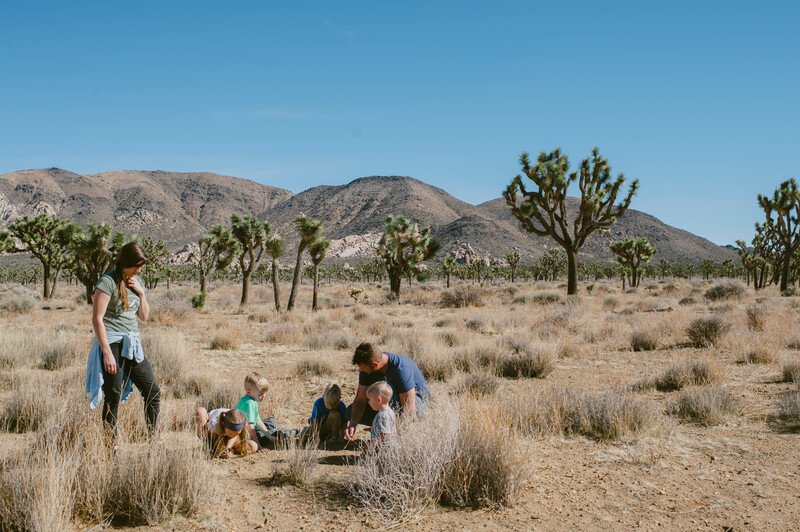 There were frequent reminders how much our family loves exploring this big, wide world, no matter the time, distance, or ages of our kids. All that matters is that we're doing it together.